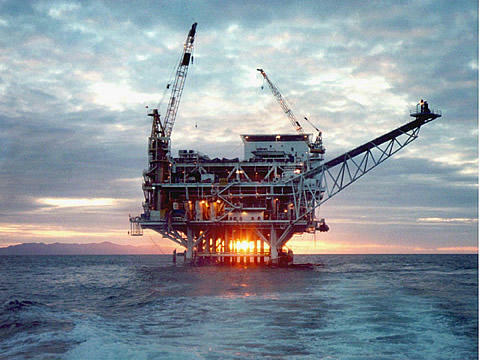 An oil rig off the California Coast. The U.S. Department of the Interior released a proposal this week that paves the way for energy companies to search for oil in the Atlantic, including off the North Carolina coast. U.S. Senators Thom Tillis and Richard Burr support the plan, saying it will stimulate economic growth. Environmentalists have condemned it as a shortsighted energy policy that could hurt wildlife and tourism. The Obama Administration today released a proposal to possibly open the Atlantic Seaboard – including the coast of North Carolina - to oil exploration. The proposal is part of the U.S. Department of the Interior’s five-year plan. 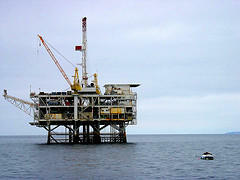 Testing from the 1980s estimated that as many as 3.3 billion barrels of oil could be off the Atlantic coast. That estimate could be low.